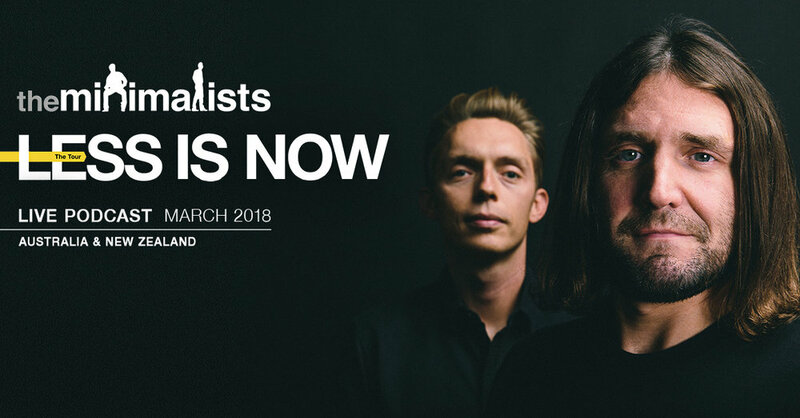 They're headed down under in March 2018 for their first AUS/NZ tour, where they will present an in-depth talk about minimalism and record a live version of their wildly successful podcast. When they were twenty something, suit clad and upwardly mobile, best friends Joshua Fields Millburn and Ryan Nicodemus (both now aged 36) thought they had everything anyone could ever want…until they didn't want any of it anymore. Meet & Greets will commence promptly at 5pm and end promptly and 5:45pm. We ask those with a VIP ticket to please arrive by 4:45pm for accreditation.